The polar ice cap rapidly recedes; colonies of honeybees collapse in alarming numbers; androgynous fish are detected in rivers and streams. These reports not only describe recent events, but also function as signs of an ominous and rapidly encroaching future. In this issue of Limn we focus on how this future makes its appearance in the present. Many of the threats we now find most alarming—climate change, environmental radiation, emerging disease, endocrine disrupters, toxic chemicals—are not immediately perceptible to human senses. We rely on non-human indicators, whether animals or detection devices, to alert us to their possible onset. Such indicators can be thought of as sentinels, or heralds of an approaching danger. The term sentinel comes to us from the military world, and refers to a soldier who goes to the front in order to see whether an enemy is advancing. It is instructive to contrast the sentinel with two other figures that can be used to envision the future: the prophet and the prognosticator. The prophet is a classical figure who interprets images of an impending future through practices such as divination. Despite advanced warning, those who receive prophecies typically cannot ward off their fates. The prognosticator, in turn, is a figure from the early modern period who gathers detailed knowledge about the present in order to calculate, and plan for, what is likely to happen in the near future. The sentinel plays a different role. This figure presents a vigilant watchfulness that can aid in preparation for an uncertain, but potentially catastrophic future. The word derives from the Latin sentire, to feel or sense. Thus the figure of the sentinel is bound up with both the problem of perception and the question of whether the detection of danger can successfully ward off a coming crisis. In the contemporary context of ecological anxiety, the sentinel has taken on an expanded meaning: it has come to describe living beings or technical devices that provide the first signs of an impending catastrophe. For example, a polar bear perched on a fragile piece of ice may serve as a harbinger of climate disaster; or an uptick in over-the-counter flu medication sales may indicate the onset of a deadly pandemic. Non-human beings have served as environmental sentinels from the beginning of the industrial revolution. Most famously, canaries were brought into coal mines due to their heightened sensitivity to gas. In the late nineteenth century, botanist Wilhelm Nylander mapped air pollution in Paris by looking at lichen distribution in the Luxembourg gardens. He called the plants “hygiometers” since they could assess the salubrity of a given location. German botanists Kolkwitz and Marsson used fish in a similar way to study river pollution at the turn of the twentieth century. A century later, while sentinel devices of various kinds have become increasingly present in domains of health and ecological threat, the meaning of their signals is often ambiguous or contested. Indeed, their efficacy in inciting action varies. In the case of climate change, for example, indicators pointing to global warming have proven able to stimulate precautionary policies (such as a cap-and-trade system) in some places but not others. Another example comes from disease detection: the appearance of H1N1 influenza virus, initially detected by sentinel systems, was understood as potentially catastrophic in some countries and not in others – and this dramatically affected rates of vaccination as well as levels of trust in public authorities. We might add to these cases the different responses that the detection of radiation after nuclear accidents such as those at Chernobyl and Fukushima has generated in distinctive political and social contexts. Our approach in this issue is not to condemn the failure of sentinels to incite action; nor, conversely, is it to criticize instances of over-reaction in the absence of definitive threats. Rather, we wish to reflect on the processes through which encroaching potential dangers are made visible, and to ask how the detection of threat can be made to have political force. A series of problems appears for comparative inquiry. First, there is the question of how a sentinel device is constructed such that a given danger can be perceived: how is a normal background established against which an anomalous signal takes on significance? Can the device distinguish signal from noise? Is it able to detect the unanticipated? Second, we encounter a number of issues around the reliability and legitimacy of sentinel devices: which communities of experts (or non-experts) are authorized to make claims about the meaning of a signal? Does a particular signal travel from center to periphery, or does it take a different route? What interpretive struggles ensue over its implications? And third, we might ask about the challenges of moving from detection to response: how do skeptics cast doubt on the credibility of the sentinel? As a given signal moves across audiences, can the device sustain a sense of collective urgency? And finally, of course, even if there is a collective recognition of the validity of the signal, does it necessarily point to an obvious response? Sentinel devices have a varied topology, including borders, interfaces, and reservoirs. These devices also entail a variety of modes of transcription, from mapping and modeling to signaling. They combine a diversity of actors, from humans to bears, bees and birds, insofar as they refer to threats common across different species. Finally they allow us to perceive a variety of things, from microscopic entities like toxins, radioactive particles and pathogens to large-scale events like climate change or a pandemic. This issue gathers a range of studies on contemporary sentinels, asking how they make it possible for us to perceive, and possibly to interrupt, the onset of future catastrophe. A first set of essays focuses on the dynamic relationship between the laboratory and the environment in producing authorized knowledge about health and environmental risks. Sarah Wylie shows how “citizen science” has made it possible to generate evidence of otherwise invisible hazards—in particular, endocrine disruptors—in local environments. Looking closely at the materiality of the microbiology laboratory, Hannah Landecker examines how experimental animals became accidental sentinels for the epigenetic effects of modern industrial chemicals. 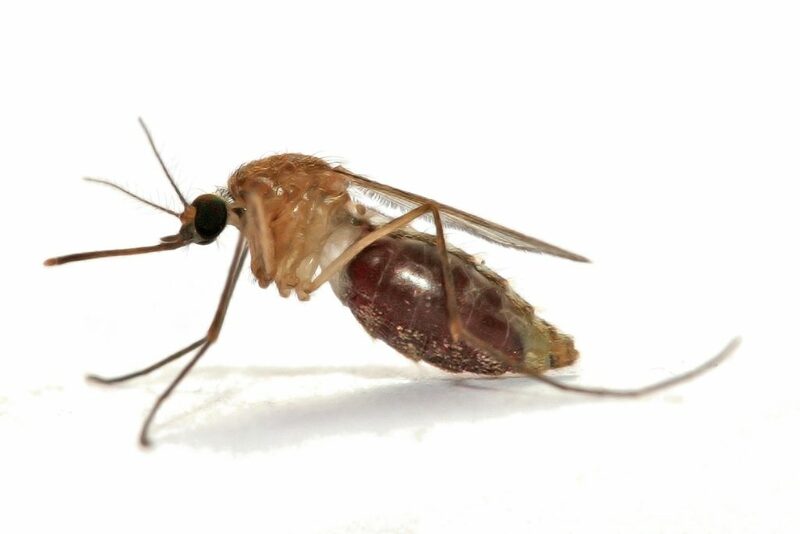 Based on her research on malaria control in Dar es Salaam, Ann Kelly describes a technique through which the human body is made into a sentinel for vector populations. And in an historical reflection, Joanna Radin looks at the conjuncture of technical and institutional innovations that made serological epidemiology possible in the 1950s, and at the current uses of old, still-frozen blood samples to yield new knowledge about future risk. A second group of essays explores public debates around the use of sentinel devices in health policy contexts. Didier Torny and Emmanuel Fillion retrace the French controversy surrounding diethylstilbestrol (DES), one of the first endocrine disruptors to be identified, asking why physicians’ warnings about the effects of des went unheeded. Andrew Lakoff analyzes the controversy that arose over European governments’ intensive vaccination campaigns during the 2009 H1N1 influenza pandemic, asking how a relatively weak virus provoked such a strong response. And Emmanuel Didier looks at the use of statistical data by policemen and psychologists, showing how indicators come to link public safety to public health. Another line of research looks at how animals are made into sentinels for public health. In two essays on avian flu preparedness, scientists see bird populations as a reservoir for human pathogens. Frédéric Keck shows how the city of Hong Kong has been constituted as a sentinel post for pandemic influenza in the wake of the emergence of H5N1 virus in birds. And Lyle Fearnley examines attempts to regulate poultry farming in China, demonstrating how some farms blur the boundary between wild and domesticated birds. Animals and machines can serve as sentinels for environmental threats that remain invisible to humans. Adriana Petryna looks at how Chernobyl and Fukushima have been taken up as experimental sites to analyze the effects of radiation on animals. Sophie Houdart describes the Large Hadron Collider in Switzerland as a machine designed to capture signals of environmental threat around the globe. And Christelle Gramaglia explores the use of mollusks as sentinel organisms for industrial pollution in a French river system. How are sentinels produced and interpreted to signal the possible onset of slow-moving catastrophes? In his essay on the bellwether, Jerome Whitington distinguishes among different kinds of sentinels of climate change. Etienne Benson looks at research on polar bears as indicators of snowmelt and species loss in the Arctic. And writing about the famous floating patch of garbage in the Pacific, Baptiste Monsaingeon analyzes the measurement of ocean plastic as an ambivalent indicator of global pollution. In her ethnography of the social practice of wildlife monitoring, Vanessa Manceron describes the world of naturalists in the United Kingdom who regularly survey their “local patch.” Chloe Silverman shows how the decline of honeybee populations is measured and turned into a warning signal. Finally, Naomi Oreskes asks why scientists’ warnings about climate change have not been taken seriously by the general public, and how the scientific community can more successfully act as a sentinel. Many of the essays gathered here were initially presented at a colloquium at the Chateau de la Bretesche in Brittany, sponsored by the Borchard Foundation. We are grateful to the Foundation for its generous support of both the colloquium and the production of this issue of LIMN.